Liquid vs Stiff Starter: Why one over the other? Liquid vs Stiff Starter: Do I need both? Which type of starter will be most beneficial? The question of stiff vs liquid starter has recently been bought up here on Yumarama and since it was discussed over on Mellow Bakers previously previously, I thought it wouldn’t hurt to carry that conversation across to the blog as well. 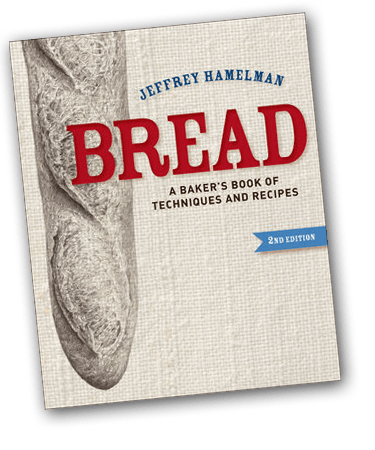 Someone recently asked what the point was between using stiff and liquid levain, specifically in Jeffery Hamelman’s book BREAD. I pondered and, in effect, could not come up with a solid answer for myself, primarily because I haven’t really dabbled with a stiff starter very much. But still, why DOES Jeffrey ask for a stiff starter here or a liquid (he prefers 125%) there? In other words, what are the benefits of each, in his view? So I figured I’d go to the source and ask. Someone recently brought up a question I was a little confused about and figured I’d go to the source to see about an explanation. In the book BREAD, you mention it is possible to switch one type of starter to the other easily enough – and it is. However, I’m unclear as to why one recipe calls for stiff starter and the other liquid and, more specifically, what you expect each to bring (or not bring) to the table. If it’s merely a matter of making a starter wetter or dryer just before using it, particularly since you start your levain with such minor amounts (for the home scale, at least) I am not understanding the reasoning for using or keeping two kinds of starter. Do you think a home, weekend baker would see any advantage to keeping both types or is “turning” a starter at the last minute adequate? I’ve maintained two starters for a number of years: a firm German-style rye culture (made the third week of August, 1980), and a liquid levain kept at 125% hydration (it’s about a dozen years old). We use the rye for all our rye breads, and the liquid is the base levain for all other breads. We convert this one to stiff or to whole grain as needed, but only for the build(s) that will then be used in a final dough mix, not in order to continue perpetuating stiff or whole grain starters. These methods are practical and not terribly labor intensive, and we use them successfully at the King Arthur Bakery every day. By the way, our starters get two meals a day, seven days a week. On Christmas, New Years, Easter, and other holidays when we are closed, they receive one meal, as a baker is in for a short time on the holidays in order to make preferments and do some other things to enable us to open again next day. Certainly, for the baking of just a couple of loaves or so, there is no reason to keep more than one starter. While it’s good (and important in my opinion) for today’s ever more skilled bakers to know how to convert a liquid starter to stiff and vice versa, there’s no reason to necessarily do that, because as you pointed out, the amount of mother culture going into the builds is very small. Small adjustments in flour or water will compensate at the time of the build so that levain consistency is correct. And if one maintains just a liquid or a firm white culture, he or she can easily give a couple of meals of rye flour in advance of making rye bread–that will suffice; there’s no need for occasional rye bakers to perpetuate a rye culture. 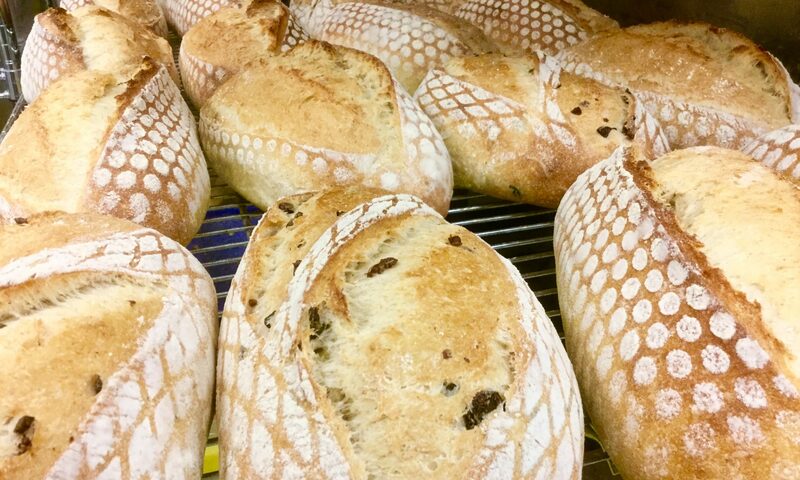 Why do some bakers prefer to maintain a liquid levain culture and others a firm levain? On the face of it, I’d say it’s mostly about personal preference–some bakers prefer the ease of mixing a firm ball of dough, while others find mixing a batter consistency starter easier. As for all that science about acetic acid developing more favorably in firm environments and lactic acid in looser ones, that’s all good and true, but it’s ultimately up to the baker to determine the flavor of the bread. For instance, what if I kept only a liquid levain culture and wanted to make a bread on the acetic side, but didn’t want to convert to a firm levain? I could do a few things to encourage more sour flavor: I could preferment a higher proportion of the overall flour, I could extend the bulk fermentation somewhat, and of course the easiest way would be to retard the shaped loaves overnight. All of these would encourage more acidity in the final loaves. Treating things in the opposite manner would give milder results. Aren’t we lucky that after all we are the ones who determine the bread’s outcome by our cumulative series of engagements with the dough? Aside from the general info he expanded on here, it is good to see a bit of explanation on how to accent the bread’s acid content in several different ways in such a concise manner. I don’t know why it’s necessary to have both but I do know that the baguette recipe I make (based on the recipes for Acme baguettes in Maggie Glezer’s Artisan Bread Across America and the baguette recipe in Rose Levy Beranbaum’s Bread Bible) calls for two starters: a stiff AND a liquid one. The resulting bread is brilliant. Elizabeth recently posted…Wordless B&W Wednesday: ohh la la! I shall look into acetic acid now JH mentions it…but for me stiff & wetter levain is about speed…stiffer slower…wetter faster…a wetter levain goes through its cycle faster…I shall do an experiment now to post! Interesting response from JH…love his book one of the top bread books and saved my backside when I had to bake by myself in a cafe! Amy Scherber of Amy’s Bread (NYC) is know for making high hydration doughs with more than one pre-ferment, some in very small amounts (1% or less). Small quantities of a starter with its acid content act as a dough modifier in the final dough. It is a way of tailoring your dough to meet your needs without using a discrete (although sometimes innocuous) chemical additive. First, sorry about the late reply, I just saw your comment today. I was in the middle of moving cities on Aug 1st so things were a little insane at that moment. To switch up to a wetter starter, simply use the same amount of water as you do flour. That’s as complex as it is. So if you had been using, say, 100g of flour and 80 g of water, just add the missing 20 grams or simply discard and feed a small amount with 1:1 water and flour. It will be a little bit off for a feed or three, but it will be pretty much exact in only a couple of feeds at 100% hydration. Hope this helps. If you’ve already figured it all out, great, your question and the suggested solution will probably still be helpful to someone else later on. And I promise not to do a major city-to-city move again for a fairly long time! Thanks, Paul. I have since found a calculator online that let’s you put in the hydration and weight of the starter you have and you can then specify the hydration and weight of the starter that you want to achieve and the calculator tells you how much flour and water to add. I’ve checked it with some examples for accuracy and it works so i use that but understanding the principles helps too. Hope you are settled after your move!